Protect your investment by storing your glass components in a padded Wooden Storage Box. The dense protective interior padding surrounds the component on all sides while the thick wooden exterior insures protection from any possible damage due to high impact. 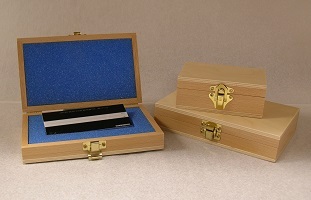 The Wooden Storage Box is only available for glass parts.